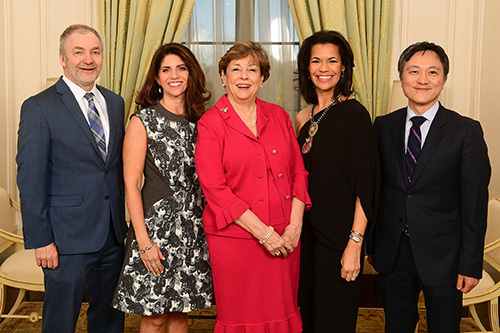 Winship Executive Director Walter J. Curran, Jr., MD, Fashion A Cure event co-chairs Julie Levine and Dell Rearden, CNN anchor and event emcee Fredricka Whitfield, and Winship pathologist Gabriel Sica, MD, PhD. Models included cancer survivors, caregivers, Winship doctors, and volunteers. Winship radiation oncologist Dr. Kristin Higgins was one of the fashion show models. Winship medical oncologist Jane Meisel, MD, also participated in the fashion show. Cancer survivor and Friends of Winship member Ada Lee Correll opened the fashion show walk. Winship Executive Director Walter J. Curran, Jr., MD, provided the closing remarks. 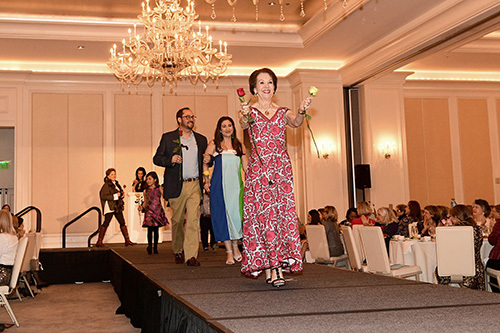 Nearly $300,000 was raised for cancer research at the 6th annual Friends of Winship Fashion a Cure Fashion Show held at the St. Regis Atlanta on January 29th. The funds will be used to purchase a critical new piece of equipment for Winship Cancer Institute of Emory University that will enable researchers to tag and visualize immune components in cells to better understand how cancer develops in those cells and how they may respond to treatment. 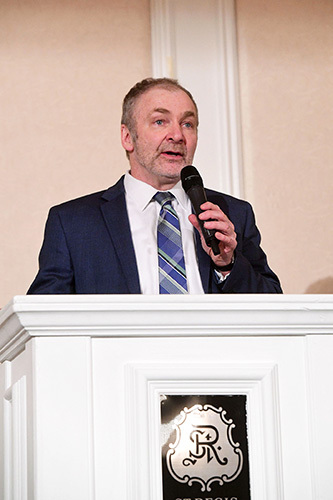 The luncheon, organized by the Friends of Winship, was attended by more than 550 guests. The event featured fashions from local boutiques and designers. Models included cancer survivors, caregivers, Winship doctors, and volunteers. An auction and raffle complemented the day's activities. The event co-chairs were longtime Winship volunteers Julie Levine and Dell Rearden. CNN anchor Fredricka Whitfield served as emcee. 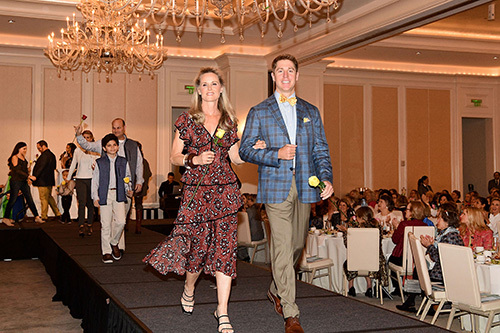 The Friends of Winship Fashion a Cure Fashion Show, which has raised over $1 million since 2013, increases awareness and provides funding to advance research in cancers that affect women.